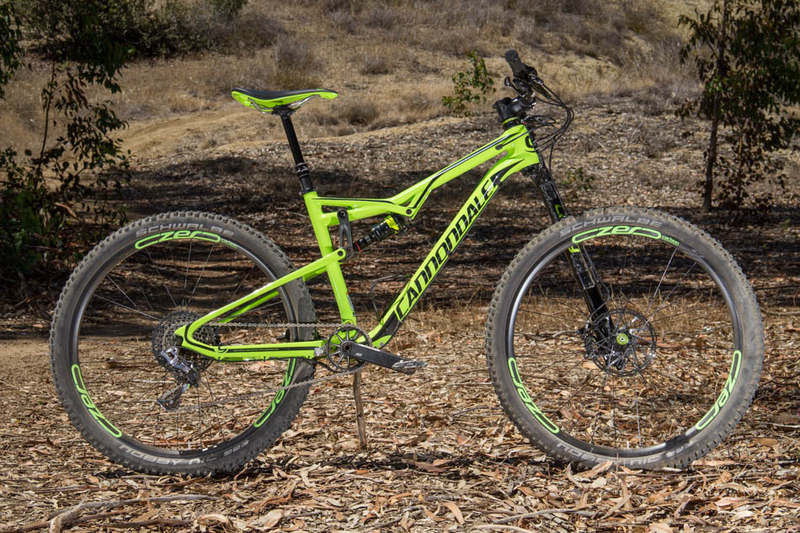 The details are out on Cannondale’s new trail machine after a couple months of photos and speculation floating around on the internet. The bike was seen in the wild this past weekend at the Downieville Classic, where Team WTB/Cannondale rider Jason Moeschler pedaled it to a victory in All-Mountain World Championship. 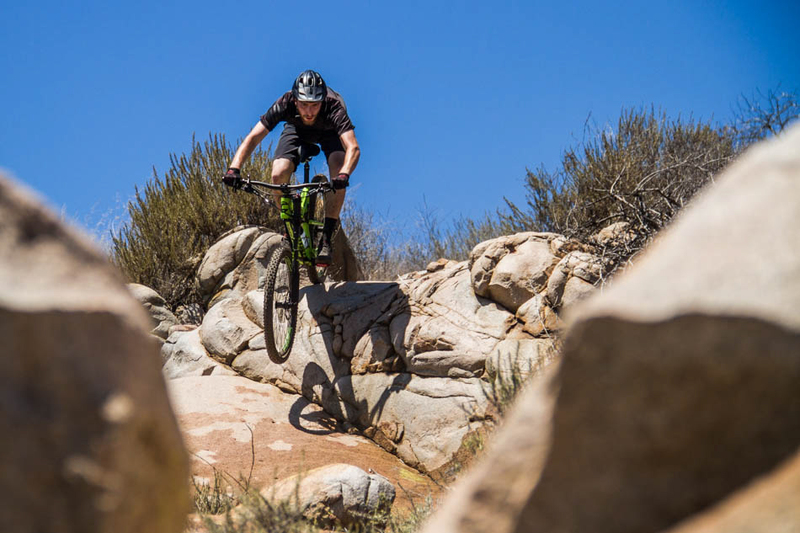 The new bike is called the Habit, and it slots into Cannondale’s line between the Scalpel and the Trigger, sporting the dressings of a short-travel trail bike. Cannondale sought to strike a balance with the Habit, aiming to create a bike that would suit both cross-country riders looking for something more capable and more aggressive riders looking for something with less squish and a bit more snappiness. 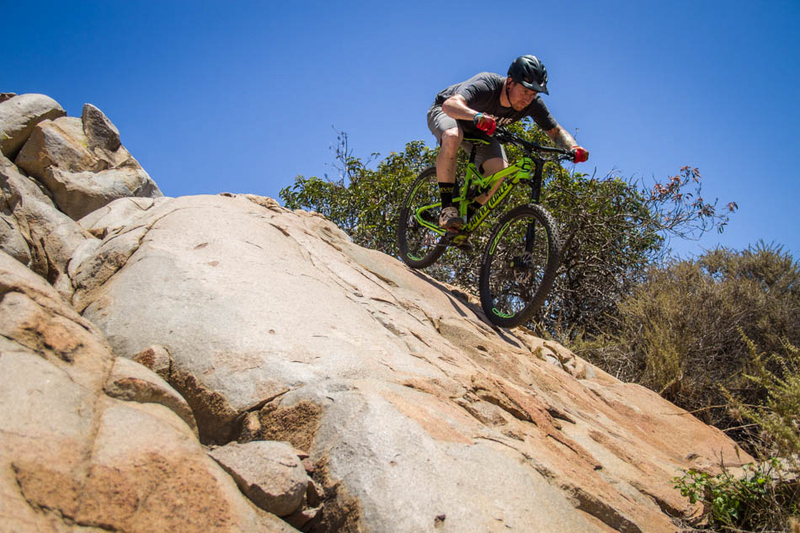 After an afternoon riding the Habit, it seems like Cannondale has achieved its goal, although for our tastes the bike felt more skewed towards pedaling efficiency and lightweight than suppleness and downhill capability. The Habit Carbon 1 we tested had a snappiness that was immediately apparent on climbs and flat ground. The combination of the bike’s geometry, low weight and 27.5 wheels meant that the Habit responded to pedaling input with quick acceleration and was easily maneuvered on climbs. It’s no surprise that aggressive descenders won’t find the capability of their longer-travel trail rigs somehow jammed into the Habit’s 120 millimeters of travel. 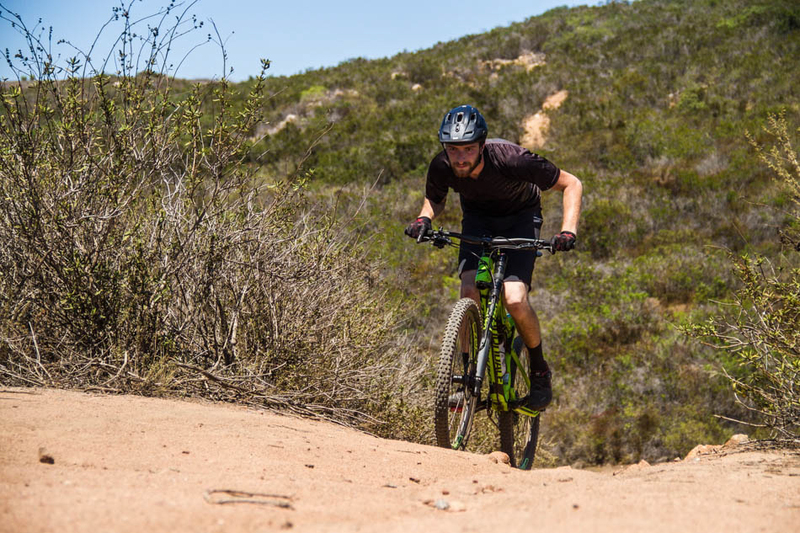 The same maneuverability and light weight that made the Habit a pleasure to blast uphill on had it feeling a bit out of sorts on technical downhills, and we couldn’t help but wonder if this bike wouldn’t have benefited from the stability and rollover offered by 29-inch wheels. 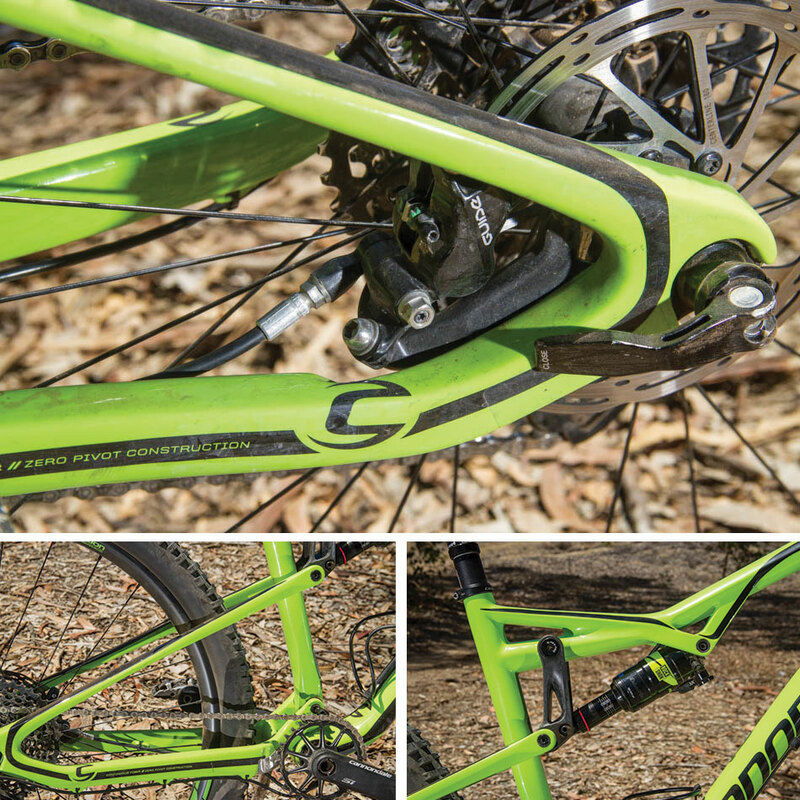 The Cannondale Habit is built around an all-new 120-millimeter-travel chassis. Up front is a 68-degree head angle and a 120-millimeter-travel fork. 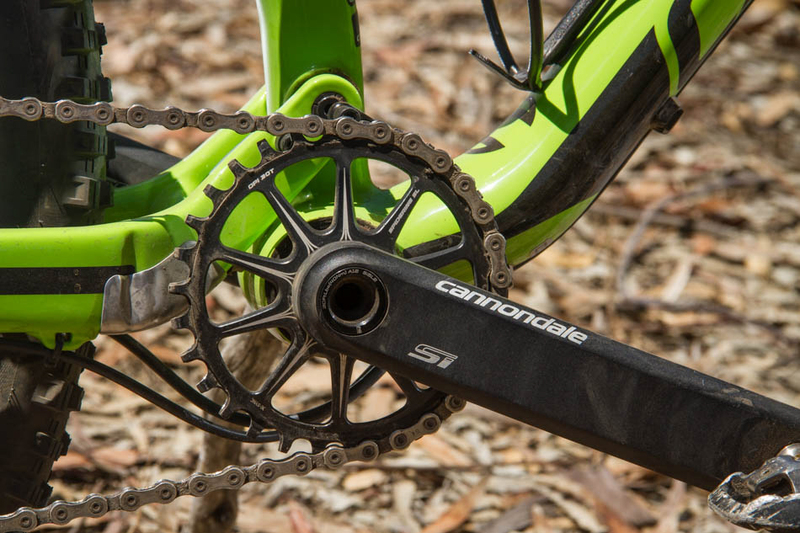 Both the carbon and aluminum versions of the frame utilize Cannondale’s Zero Pivot seat stays, which are intended to compensate for their lack of an actual pivot with built-in vertical flex. The swingarm pivots move on thru-axles which are held in place by expanding collets and require no special tools for servicing. 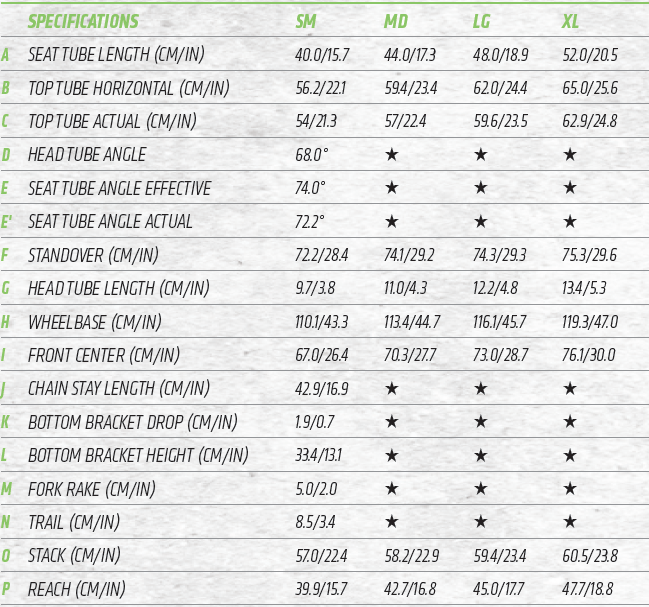 Cannondale’s argument for flex stays is based on weight savings (size large frame weight is just under 2,000 grams) and the lateral rigidity allowed by the pivot-free design. Braking forces and vertically flexing seat stays don’t play well together, so Cannondale mounted the brake on the chainstay instead. The Lefty, which is featured on seven of the 10 Habit models, gets a 50-millimeter offset and a new damper tune, which Cannondale claims keeps the fork from packing up over chundery sections and also keeps it riding higher in its travel. The women’s Habits don’t get unique geometry, but do feature different contact-point components, as well as different paint jobs. The sizing range is more suited to shorter riders, with the women’s frames coming in extra small, small and medium, whereas the men’s frame runs small through extra large. There are two women’s models: $3,600 buys an XT/SLX build with a carbon front triangle and an aluminum rear end, and there’s an entry-level aluminum option for $1,950. There’s a total of 10 different trim options configured around carbon or aluminum frames including the two women’s specific models and the slightly more-aggressive Habit SE. The version we rode was rolling on Cannondale’s new CZero carbon wheels, which feature an internal width of 23 millimeters and are likely to be seen on a few other models in Cannondale’s 2016 range. Pricing for the Habit starts at $1,950 and goes all the way to $12,250 for the Black Inc version. You can check out each model here.